In the rapidly changing world of the 21st century, critical thinking, problem-solving, and the ability to find, synthesize and apply information will be the essential tools for success.The liberal arts curriculum at Randolph-Macon College cultivates the breadth of knowledge and depth of understanding you'll need for the future. It challenges you to think analytically and to communicate effectively, to question, to examine, to innovate. At R-MC, you'll make connections with ideas, opportunities, and individuals that can help put you on the road to the future you want.A liberal arts education offers much more than the sum of its parts. With a Randolph-Macon education to build upon, our alumni are positioned for success in graduate studies and careers. 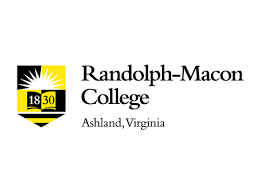 You can find Randolph-Macon graduates in law and medicine, business and politics, education and the arts, religion and service, and many areas of specialty from astrophysics to international consulting to veterinary medicine.